February 12th was the birthday of Charles Darwin, and to celebrate Darwin Day, to promote science and highlight his contributions to the field. Darwin is best known for his groundbreaking book, On The Origin Of Species, published in 1859, that convincingly argued the theory of species evolution. Evolution, however, can take many forms, and we at compiled this list to show it. Did we get better or did we get worse? Have we advanced technology, or become enslaved by it? This entry was posted in Toys and tagged Lego on February 17, 2016 by sillybillystoys. For the many Harry Potter fans who were worried about missing J.K. Rowling‘s new stage play, help is at hand. On July 31, Rowling will publish the script for Harry Potter and the Cursed Childin print and ebook format, making the story accessible to everyone who can’t make it to the theatrical version in London’s West End. For obvious reasons, Harry Potter and the Cursed Childis a hot ticket, and many fans have no chance of seeing it liveat least, not until the play is licensed to be performed elsewhere. And while the London production does offer cheaper tickets for each performance, it’s still nowhere near as accessible as a book. By publishing the script like this, especially with an ebook edition, Rowling is making sure that the new Harry Potter is available to every fan. This entry was posted in Toys and tagged Lego on February 16, 2016 by sillybillystoys. Obviously there is a lot of work that needs to go into the New Shop before we are open, we are very much hoping that the empty shell of a shop will be available to us next week, 21st Feb 2016 and then we can start shopfitting. We are very busy one way and another and we really appreciate all the support we are receiving from near and far. Thank-you all. Emails and tweets have been sent regarding Calderdale Rising, there are now under 24 hours to fund the campaign and there are still some great rewards available on the Crowdfunding page. The message below was sent by Kirsty McGregor who has been ardently campaigning for the 103 businesses affected for free. Many, many thanks to you if you have supported the campaign, promoted it and shared it amongst your friends and family. There was a party on twitter tonight amongst many of the businesses, followed by facebook, texts emails and, no doubt, a large ‘real’ party in due course! They, along with many other volunteers, have worked very hard to build this campaign into this success, with days to spare! This campaign has meant so much to these businesses, knowing they are supported. Emails and messages I’ve received tonight from some of our businesses say that they had been thinking of winding up, giving up, and walking away from their business, but this campaign and the positivity surrounding it, gave them the motivation to carry on and rebuild. And no amount of money can create that energy – it was the spirit that this campaign and this community gave them back. So on behalf of all 103 businesses, their owners, their employees, their customers, their suppliers and the whole community – thank you! We need these businesses to remain on our high streets, in our industrial estates and scattered throughout this valley. And as the constant rain brings worries again tonight, this will only be the start of a long road back for some of them. The target has been raised – because we like a challenge! And we have beautiful gifts still to sell. So we will keep the page open until Friday 12th at 12.30pm. Anything we raise from now on will be guaranteed. Please do continue to share and join in our celebrations. This entry was posted in Toys and tagged Lego on February 11, 2016 by sillybillystoys. With the roaring success of our Pop Up Shop in Welcome Independent Living at the bottom of Albert Street in Hebden Bridge. Come in and see us, help support our shop and Silly Billy’s move to a new location. NB We can only take cash at Silly Billy’s, our card machine is non-operational. This entry was posted in Toys and tagged Lego on February 6, 2016 by sillybillystoys. There has been a lot of activity by many businesses for #CalderdaleRising, and new rewards are being added to the Crowdfunding page regularly. If you pledge some money to #CalderdaleRising you can gain some amazing rewards at very discounted prices. There has been some fabulous support from all the businesses, and more, both in terms of the rewards that have been offered on the site, and raffle prizes that make up “The Big Raffle” – probably the longest list of prizes you’ll ever see! Raffle tickets sales are now being added to the site as pledges by the businesses that have been selling them, plus online sales (now closed) will be added shortly – a phenomenal £1,312 has been raised from online ticket sales alone! The Big Raffle draw is at 3pm tomorrow, the only place we know of that definitely has raffle tickets is Pennine Provisions, otherwise it is worth possibly trying in the Antiques Centre in Hebden, Bonsalls and The Banyan Tree, Silly Billy’s has sold out of raffle tickets and raised £100 pounds, if every business involved raised £100 then we would have an extra £10,000+ to put in the pot. A beautiful handmade garlic bread & chopping board from Bonsalls £30 unique & only 10 available! A 2 hour trip in a sporting classic – a beautiful Red E-Type Jag! £125 and limited to 8. Live the dream! And some beautiful engineered real oak flooring – massive discount on RRP! YOU can still help by visiting the Crowdfunding Page and simply sharing the campaign, it is easy to do from the page. We have not yet reached our £150k target and as Kirsty pointed out in her recent interview with the BBC, we need a lot more than £150k and it is likely that the amount raised will not be match-funded pound for pound by government funds. Simply spending a few moments of your time to share the campaign could bring in the Big Angel investors that we so need. This entry was posted in Toys and tagged Lego on February 5, 2016 by sillybillystoys. Silly Billy’s is happy to announce that it is taking part in the Calderdale Rising Big Raffle. Silly Billy’s is donating a Lego Ninjago Masters of Spinjitsu 70737 Set to the cause. There are a lot of really good prizes available from an E-Type Jaguar Experience to a Hamper from Hebden’s finest Deli, Pennine Provisions and many many more in between. Prizes are coming in thick and fast so here is the list so far, and there may well be more to add. If you want Raffle Tickets then you can get them from myself, Robert Williams, or Silly Billy’s Pop Up Shop, when we are there, or if you are further afield we will post you the raffle tickets free of charge, simply get in touch via email, facebook, phone or any other method. · A Photoshoot from Studio C, Todmorden worth £125 with disk images and print ? The crowdfunding campaign which we are a part of ends on 12th February so if you could share the campaign that would be great. This entry was posted in Toys and tagged Lego on January 29, 2016 by sillybillystoys. Attempts to trademark the shapes of Kit Kats and London taxis have failed, opening the door for rivals to imitate them. So how come other products get to protect their distinctive shapes? You know what a four-finger KitKat looks like. A quartet of slim wafer biscuits, linked together by their chocolate coating. Have a break, etc. And even if you’ve never visited the city, it’s likely you’ll recognise the bulbous contours of a London black cab, which are every bit as much a symbol of the UK capital as Big Ben (although they do ply their trade in some other British cities). But at the High Court this week, Mr Justice Arnold ruled that neither’s shape is distinctive enough to trademark. The London Taxi Company, manufacturer of the traditional hackney carriage, had taken action against the makers of the Metrocab, a new hybrid-powered taxi, saying its design had been “substantially copied” from its own. But the judge dismissed the claim, opening the way for the Metrocab model to appear on London’s streets over the next few years. Likewise Nestle was denied the right to trademark its four-fingered KitKat in the UK when the court agreed with confectionery rivals Cadbury that its shape was not distinctive enough for consumers to identify all such bars as KitKats. 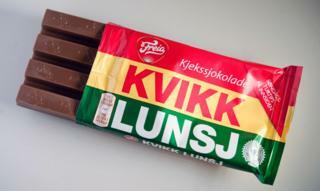 The existence of a similar bar produced in Norway since 1937 called Kvikk Lunsj (meaning “quick lunch”), which is available in some UK shops, did not help Nestle’s case. The Swiss company says it will appeal. It’s rare for a three-dimensional object to be granted trademark status, but not unheard of. The shape of a four-finger KitKat may not be judged distinctive enough to qualify as a trademark, but those of Toblerone and Nestle’s Walnut Whip are. 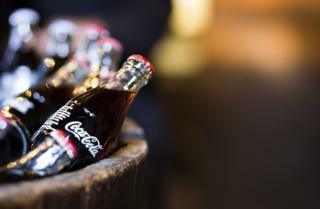 Coca-Cola first received the status for the contours of its bottle from the US Patent and Trademark Office as far back as 1960. There can be huge benefits for firms that are granted trademark status. Unlike patents, which expire after 20 years, a trademark can potentially last forever – thus effectively conferring a long-term monopoly on a particular shape. So how exactly do you go about getting one? Firstly, the law requires that the shape is sufficiently distinctive, says Luke McDonagh, an expert in intellectual property law at City University London. The point of this is to allow consumer to distinguish between different products – “the idea being that consumers would immediately recognise the shape itself and associate it with a particular brand, apart from any logos or brand name packaging”. The shape of toasters, for instance, has been judged “devoid of any distinctive character”. A toaster is just a toaster. But a Toblerone is a Toblerone. It’s not always an easy distinction to make, but “people know an elephant when they see one”, says Iain Connor, partner in the intellectual property team at law firm Pinsent Masons. 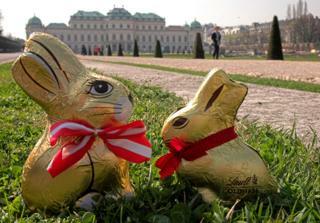 In 2012 Lindt lost an attempt to trademark its chocolate bunnies because a European court ruled “the combination of the shape, the colours and the pleated ribbon with a small bell are not sufficiently different” from the wrapping of other chocolate rabbits. In the KitKat case, Nestle cited a survey in which 90% of people shown a picture of the chocolate, without any names or symbols attached to it, mentioned KitKat. But Mr Justice Arnold ruled that the consumer relied “only on the word mark KitKat” and other branding to identify it – the chocolate being sold wrapped in packaging. Likewise, in the black cab ruling, the same judge said the taxi was “merely a variation of the typical shape of a car” and “devoid of inherent distinctive character”. There’s a second requirement. A trademark must not effectively give a technical monopoly to one company. According to the Trade Marks Act 1994 – which implements the EU Trade Marks Directive – the shape must not be required to achieve a technical result, arise from the nature of the product itself, or give the product substantial value. For instance, in a 2002 case, Philips tried to prevent Remington from marketing a three-headed shaver, which Philips said was its trademark. But the Court of Justice of the European Union (CJEU) ruled that the three-headed shaver was necessary to achieve a technical result, thus could not be protected – as a trademark would effectively give Philips the monopoly on producing that type of shaver. 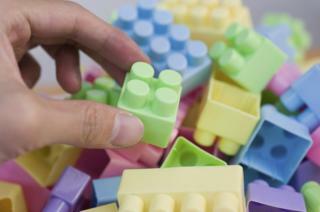 A similar decision was made by the CJEU in 2010 in relation to the Lego bricks. The court ruled against them being protected, on the basis that this would prevent other companies from manufacturing a basic building toy. However, in 2015 the court ruled that Lego people (known as mini-figures) were distinctive and their purpose was a human shape, not a technical function. In other words, they were more than just bricks, and thus should be protected. 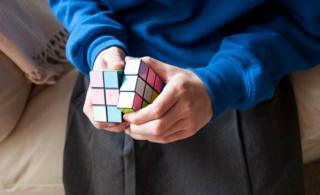 Another recent case concerned Rubik’s Cubes, which are registered as a trademark in the UK by a company called Seven Towns Limited (STL). A rival toy manufacturer argued trademarking the design gave STL a monopoly. But the CJEU decided the cube’s distinctive black separating lines were an aesthetic feature, not a technical one, as it would be possible to create a puzzle that did the same job without them. Nonetheless, the bar for securing a trademark for a shape is “very high” because courts are wary of granting technical monopolies, says Connor. “What the KitKat and black cab cases show is how difficult it is to gain protection for a three-dimensional shape,” says McDonagh. While this can result in a challenge for designers, the purpose – in theory – is to protect consumers. Regardless of whether or not you can identify a popular chocolate-covered wafer snack at 100 paces. Last year, manufacturer Nestle argued their four-fingered version of the chocolate-covered wafer snack should become a trademark in the UK, possibly preventing similar products being made. Justin Parkinson looked at the arguments for and against. 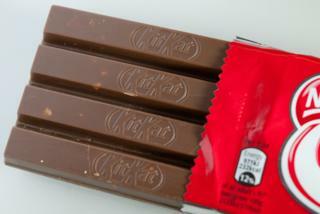 Who, What, Why: Can the KitKat shape be a trademark? This entry was posted in Toys and tagged Lego on January 22, 2016 by sillybillystoys.